The Mosaic Theater Company in Washington D.C. presented Joshua Ford ’94’s play, To Kill a King (or City of Good Abode) in their 2017–18 Mosaic workshop series on March 12. The play presents the story behind the events of the 1968 sanitation workers’ strike in Memphis that prompted Martin Luther King Jr. to visit the city, where history took a tragic turn. Doug Hess ’91, assistant professor of political science, received a grant from the New Venture Fund’s Research Collaborative Fund. His project examines the ways that changes in voter registration policies affect gaps in voter registration rates along various social and economic lines to address a relatively underexplored voting rights policy question: How well do voter registration lists represent the demographics of a state’s voting-eligible population? In What Are We Waiting For? 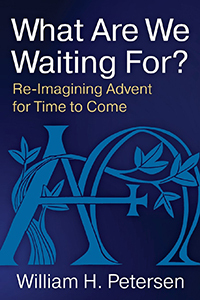 Re-Imagining Advent for Time to Come (Church Publishing, 2017), the Rev. William H. Petersen ’63 argues for a liturgical renewal in the life and mission of the church by proposing an expanded observance of Advent. 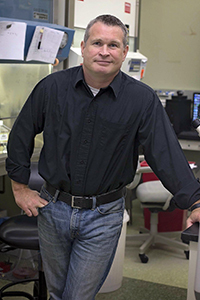 Eain Murphy ’91 discusses his work on human cytomegalovirus (HCMV), the largest human herpes virus, in PLOS Pathogens’ monthly Research Matters article (Nov. 9, 2017). He attributes his career to Charles Sullivan, senior scholar in biology, who sold him on the beauty of biology and the analytical nature of science. Murphy’s major focus is to determine how to keep HCMV “in check” for those infected. The virus can hide in stem cells within bone marrow. 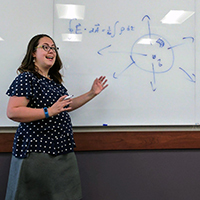 Eleanor Raulerson Sayre ’02, associate professor of physics at Kansas State University, was awarded an NSF grant for her research project on PhysPort (physport.org), an online professional development tool used by physics professors internationally. Sayre’s project, in collaboration with the American Association of Physics Teachers, investigates the effect PhysPort has on the practice of teaching physics. Kansas State University and the association jointly designed the tool to support physics faculty in using research-based teaching and assessment methods through expert recommendations, teaching method guides, assessment resources, and online workshops. “PhysPort is already a great resource for physics faculty, and this new grant will enable us to more carefully measure faculty needs around professional development and data analysis for education,” Sayre says. Kathryn Jagow Mohrman ’67 had a one-person exhibition of 20 photographs shot in Cuba at MITRE Corp.’s Atrium Gallery in McLean, Va., Sept. 20–Oct. 31, 2017. She also won first prize in an online juried exhibit, Global Perspectives, organized by the Maryland Federation of Art. See her work at smu.gs/2yiz7Ow. Randye Jones, Burling media room supervisor, sang a program of all-American composers during the inaugural IowaStock Music and Arts Festival in St. Charles, Iowa. She took the stage Sept. 3 before Simon Estes, renowned opera singer and Iowa native. William W. Dressler ’73, professor of anthropology at the University of Alabama, published Culture and the Individual: Theory and Method of Cultural Consonance (Routledge, 2017). His work focuses on the intersection of culture, the individual, and health; and his research has been supported by the National Institutes of Health and the National Science Foundation. 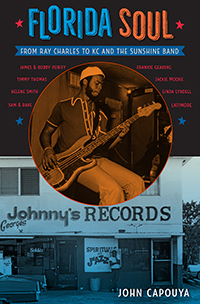 John Capouya ’79, associate professor of journalism and writing at the University of Tampa, published Florida Soul: From Ray Charles to KC and the Sunshine Band (University Press of Florida, Sept. 2017). When recalling the roots of soul music, most people are likely to name Memphis, Detroit, New Orleans, Muscle Shoals, or Macon. But Florida also has a rich soul music history — an important cultural legacy that has often gone unrecognized. Capouya draws on extensive interviews with surviving musicians to re-create the excitement and honor the achievements of soul’s golden age, establishing Florida as one of the great soul music capitals of the United States. John Pfitsch (1919–2012), coach at Grinnell College for 50 years, and Barbara Waite, former chair of the Sport Psychology Program at the University of Iowa, square off to scrutinize theories and philosophies behind “100 percent performance,” Pfitsch’s term for the best his athletes had to offer. Using Pfitsch’s typewritten manuscript from the 1980s, hours of recorded interviews, and a little imagination, Waite crafted a conversation between herself and Pfitsch to reveal more than just how to win athletic contests. 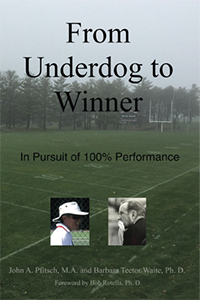 Pfitsch’s ideas, developed throughout his career at University of Kansas, Midland College, and Grinnell College, come alive through his extraordinary stories and lively conversation in From Underdog to Winner: In Pursuit of 100% Performance.